The transistor amplifier which escalates the power level of the signals will have the audio frequency range is called as a transistor audio power amplifier. 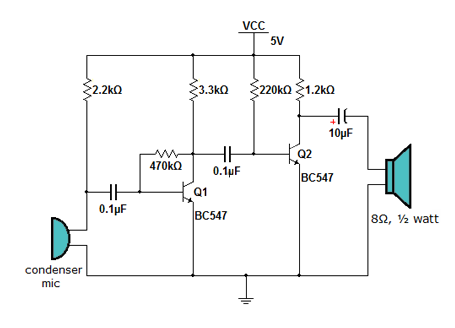 The practical amplifier contains a number of stages which will amplifies weak signals until required power is existing to activate the output device like loud speakers. In some stages the multistage amplifier will have the functions of voltage amplifier, hence the maximum power is in the last stage is called as the power stage. The basic block diagram of the audio amplifiers is given. From the above figure the last stage is audio power amplifier it will differ from all the earlier stages. 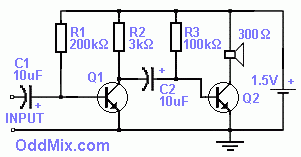 A transistor, which is appropriate to the power amplifier is known as the power transistor. The size of the transistor is different from the other transistor and normally it handles large amounts of power. The audio amplifiers are used to deliver the largest amount of power to the low load resistance and the ranges of the resistance is from the 300 ohms from the transmission antenna to 8 ohms for the loudspeakers. 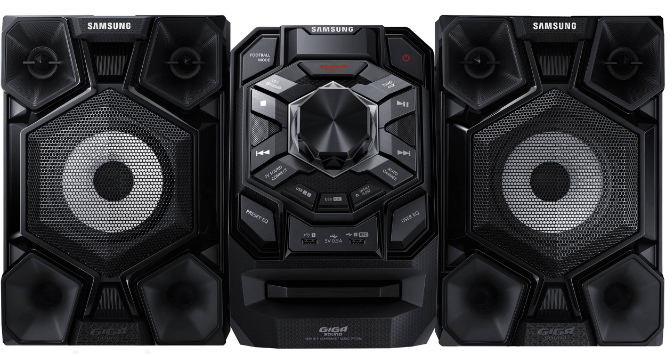 The sound system will describe about the sounds and their setup and the engine integration. On any platform the sound system will support several liberties and it is a hierarchical classification system and its offer interfaces. The sound system is used in the sound entities and play sounds which are in analytical code. By using the firelight technology the main support is for the FMOD-Ex liberty and it is also used in the basic X audio port for the X box360and in a dummy system. The dummy sound system can be proceeded to avoid problems in the sound development or to immobilize the loading of sound resources to speed up production going on non audio relevant tasks. If there any problem occur in the sound system or turning off the sound, a dummy sound system can be used by doing this time can be saved. 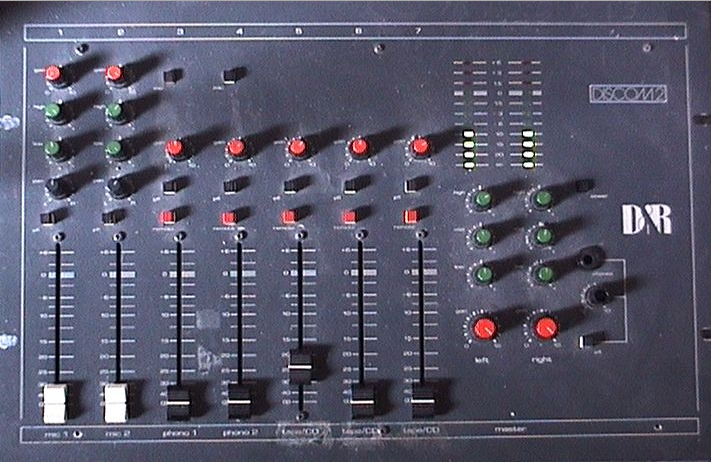 The audio mixer is used to mix different audio source and applying effects to the audio mixers and performing the mastering. Basically the audio mixer window is a tree of the audio mixer group. The audio mixer group is used to mix audios, increase or decrease the volume of the audio mixer and with pitch correction. It produces the effects of the audio signals and parameter changes the effects. From the above circuit it is divided into three divisions audio amplifiers, loudspeaker, and a condenser mic. The condenser mic is a kind of capacitive audio signal that converts the audio signals to the electrical signal this type of signals are too weak signals, hence it amplifies by the amplifier unit and the output is occurring across the speakers. The condenser output is fixed through the coupling capacitors, it is used to remove the content in the audio signals. The arrangement of Q1 transistor is collector to base biasing mode this is through the 470kohms resistance. The transistor Q1 will provide the negative feedback with the resistor. The output of the Q1 transistor is produced at the collector which is the input of the Q2 transistor. Due to the biasing of Q1 transistor capacitor removes DC voltages. The Q2 transistor is a fixed bias through the 220kohms resistor and it is used for the further applications. The output of the Q2 transistor is produced at the 1.2k ohm’s resistor. To block the DC voltages electrolyte capacitors are used which are associated with the biasing of Q2 transistor. To hear the amplified signal we can use 8 ohm, ½ watt speakers. The simple schematic diagram of two transistor audio amplifier is shown in the below. It is used by its self and also with a crystal detector radio. The two transistor audio amplifier has nine components, including with small speakers, B1 and 1.5volt power cell. The two capacitors C1 and C2 are the low voltage electrolyte capacitors and they are good quality capacitors. The input signals are separated from the DC components. The two transistors which are Q1, Q2 are a small signal, it has silicon and they are NPN transistors. The transistors are used generally and they are an active region with a current without signal approximately 0.5 to 1mA. Due to three ampere-hour AA size alkaline cell is able to provide the current for longer than the three thousand hours and it is preferable to the higher gain silicon amplifier if not germanium is also useable. The 300 ohm speaker is replaced with the 8 ohm speakers from the old transistor radio along with the output transformer. The circuit amplifies the input signals up to ten – twenty times and without using the high power it allows the higher volume radio. A crystal detector radio produces high performance crystal radio set is prepared with the amplifier produce louder, audio signals than the usual output. Hence the components and some works are expensive and the current consumption is low for the battery as long as the shelf life. The optional power switch is used for the convenience. This is about the Two transistor audio amplifier working and applications. I hope the given information in the article is helpful to give some good information and understanding the project. For furthermore, if you have any queries regarding this concept or on the electrical and electronic projects you can comment in the below section. Here is a question for you, What is the function of audio amplifiers?